« Veeam Availability Suite v8: NOW AVAILABLE! Removable storage devices: Is there a faster way? There was a time where we used to burn optical discs such as CD-ROM media to move data around (that replaced floppies for some of us!). And then we got into the USB era and all types of storage options made it so easy to move data across systems or to carry with us in the line of being an IT professional. Through the years, we have seen USB media become a standard of sorts for removable media on client systems, Windows systems in particular. It’s not without flaws but it has historically gotten the job done. But what about large amounts of data that resides on removable drives? Is there a better faster way to move and access data from removable storage? I believe so, meet Thunderbolt! 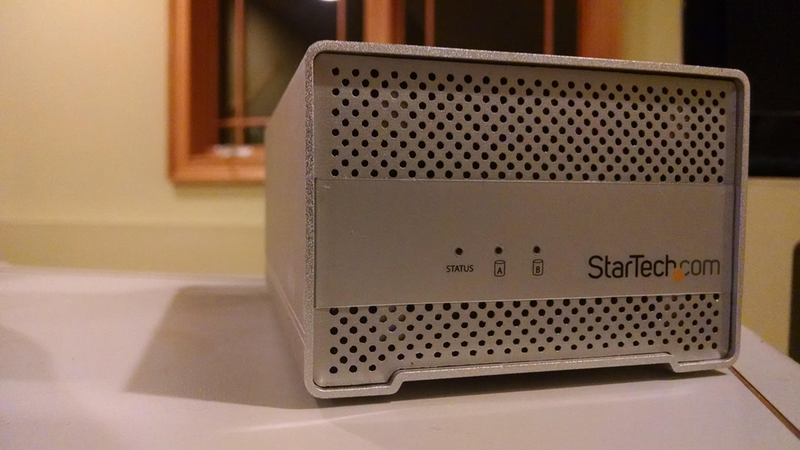 I recently had a chance to check out the new Thunderbolt Hard Drive enclosure by StarTech. This enclosure connects up to two disks via the new-ish Thunderbolt interface. 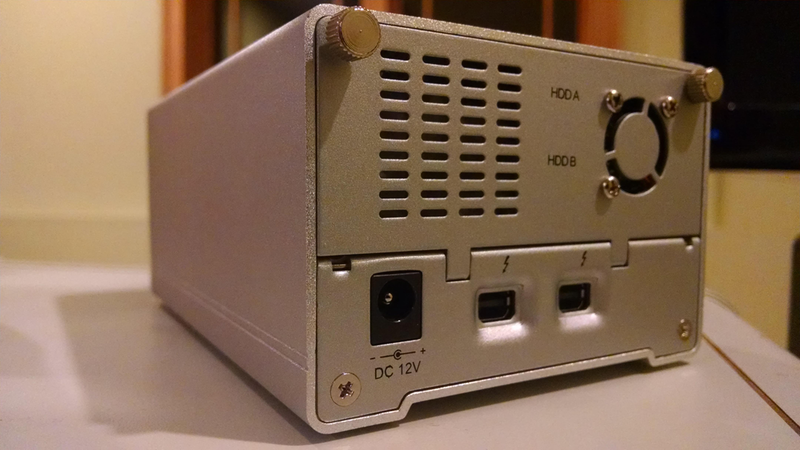 The Thunderbolt enclosure is tough, small and ready to be on the go. Now you may have heard of Thunderbolt in the Mac OS circles, but you can get it for Windows client systems; and if you do – life is good. Why so? Well, Thunderbolt has a very fast transfer interface, up to 10 Gigabits per second. If you use Solid State Drives (SSDs) as part of your removable media, you may be missing out. Thunderbolt’s speeds can literally blow USB 3.0 (max speed of 5 Gigabits per second) off of the backplane; and only the newest USB 3.1 is speed on par with Thunderbolt. Add power and I/O and you are ready to go! The notable miss here is that Thunderbolt is not catching on for server systems. The Thunderbolt controllers that are in the wild are all options for some PC new builds or a card you can add. Regardless of the hassle involved, if you want the fastest access to (presumably) fast drives such as SSDs; this is likely the easiest way to provide that high I/O. Add the occasional Mac OS system in the mix, and your high-speed interoperability challenges are made moot. Have you moved to Thunderbolt for removable media on your Windows client systems? If so, how much have you used it? Share your usage strategies below. Blog disclaimer: A review unit was provided for short term evaluation and was sent back.